Part 1 Developments in established laser welding technologies: Introduction: Fundamentals of laser welding; Developments in CO2 laser welding; Developments in Nd:YAG laser welding; Developments in disk laser welding; Developments in pulsed and continuous wave laser welding technologies; Conduction laser welding; Developments in laser micro welding technology. Part 2 Laser welding technologies for various materials: Laser welding of light metal alloys: Aluminium and titanium alloys; Laser welding and brazing of dissimilar metals; Laser welding of plastics; Laser welding of glass; Defects formation mechanisms and preventive procedures in laser welding; Residual stress and distortion in laser welding. Part 3 Developments in emerging laser welding technologies: Applications of robotics in laser welding; Developments in beam scanning (remote) technologies and smart beam processing; Developments in twin-beam laser welding technology; Developments in multi-pass laser welding technology with filler wire; Developments in hybridisation and combined laser beam welding technologies; Developments in hybrid laser-arc welding technology; Developments in modelling and simulation of laser and hybrid laser welding. Part 4 Applications of laser welding: Applications of laser welding in the automotive industry; Applications of laser welding in the railway industry; Applications of laser welding in the shipbuilding industry. 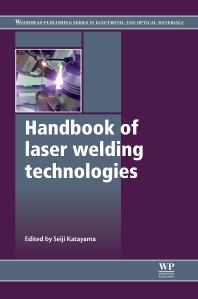 Seiji Katayama is a Professor at the Joining and Welding Research Institute, Osaka University, Japan.